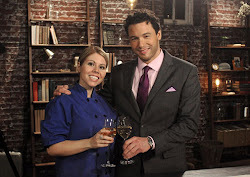 Hey fans, your favorite contributer has been MIA working on my latest cookbook, coming this fall. Yesterday, I was feeling under the weather and in desperate need for some food tlc. 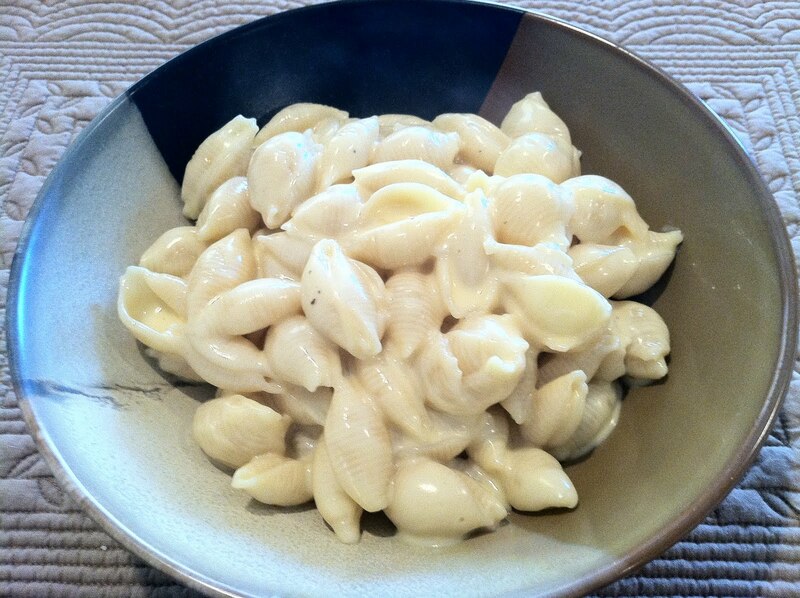 I was so in the mood for the ultimate comfort food- creamy mac and cheese. I have no idea how boxed macaroni and cheese came to be because really you only need a few obvious ingredients, macaroni, cheese, butter and cream. I only use medium size shells becuase I just adore how the creamy cheese gets lodged inside and bursts when you bite down. I think everyone has there own interpretation of mac and cheese. There are those who love the crunchy top and those who don't (like me). There's gourmet versions drizzed with truffle oil (fantastic) and those who still swear by Velveeta. Depending on my mood I can go either way although I still to this day have never tried Velveeta cheese. 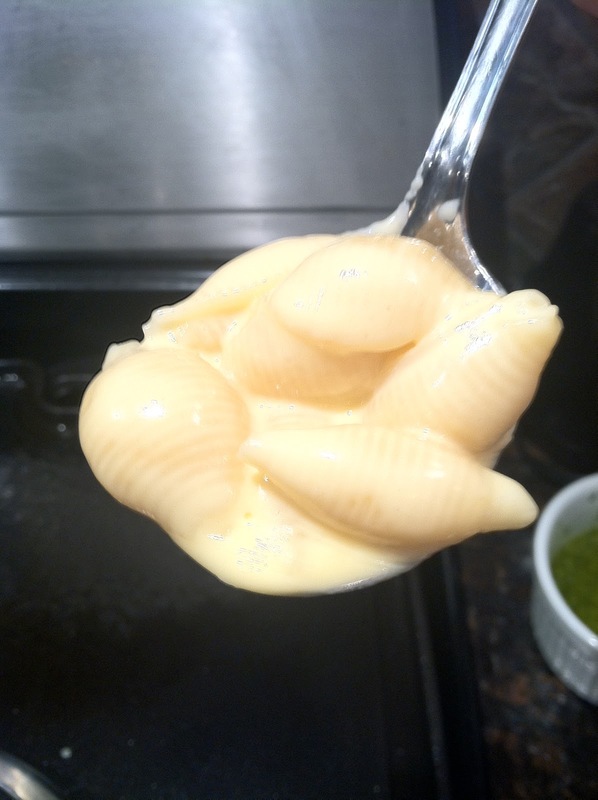 I was in a down home authentic mood this week and just wanted good ol' fashioned creamy mac and cheese no crunch, no truffles no chunks of lobster- just soul satisfying goodness. What type of Mac and Cheese-er are you?